The Clarke Cooke House is the place to be in Newport. 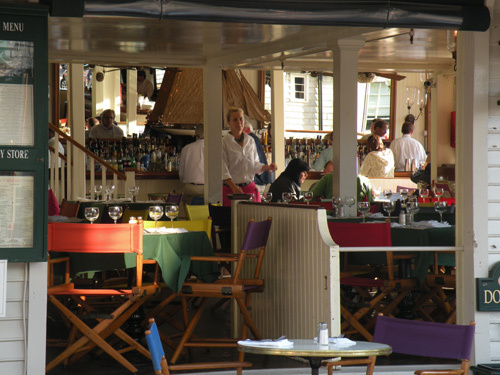 Whether you're looking for a romantic dining location, a scenic spot to meet some friends for cocktails or a night of music and dancing, you'll find it here in one of the most popular Newport Rhode Island restaurants. 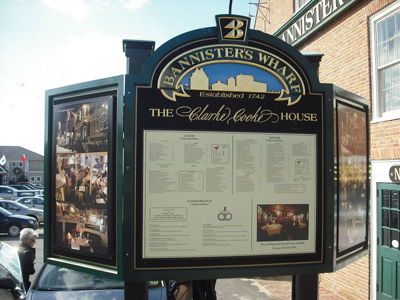 This 18th century building is home to an amazing variety of settings at it's Bannister's Wharf location in downtown Newport RI. Start out on the ground level in the Candy Store, a favorite hang out for the sailing crowd. This is where defenders of the America's Cup would come, including Ted Turner and Dennis Conner. The room is open to the harbor, with the bar running its entire length. Try the sushi here in the summer. 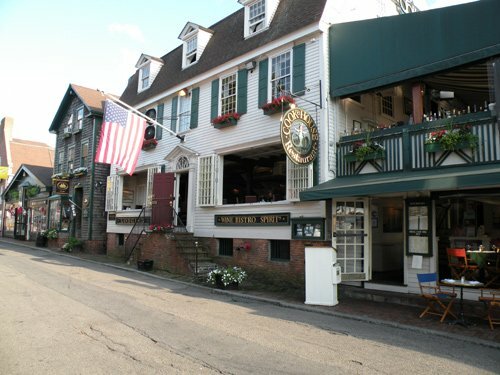 The Bistro, located on the main floor, is very comfortable with wicker furniture, America's Cup prints and memorabilia and an open fireplace. 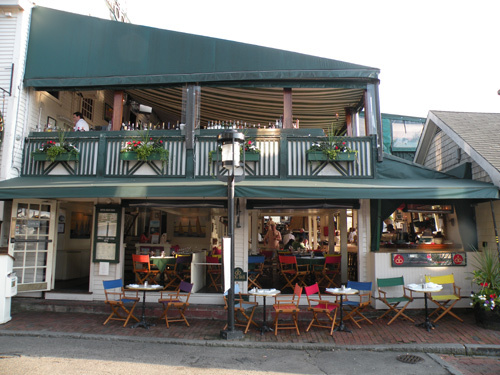 The Midway Bar, which is just below the Porch, is where you go to sample some of Newport's best drinks and enjoy the best people-watching spot. The Porch and Skybar dining area, with it's wood floors and tented ceilings, offers patrons a quiet and sophisticated setting to enjoy a meal and a beautiful sunset. All Newport restaurants wish they could have this view. The servers are all in tuxedos, the view of the harbor is fantastic and the food is great as well. Later in the evening, after you've enjoyed the food and drinks, head all the way down to the basement level, to The Boom Boom Room. This is the most popular discotheque in Newport, and you'll encounter a lively and mixed crowd here. You'll enjoy a wide variety of music played by the DJ in the mirrored booth. It's also available for private parties.